Description: A reinterpretation of rocky slate in a balanced, versatile collection. 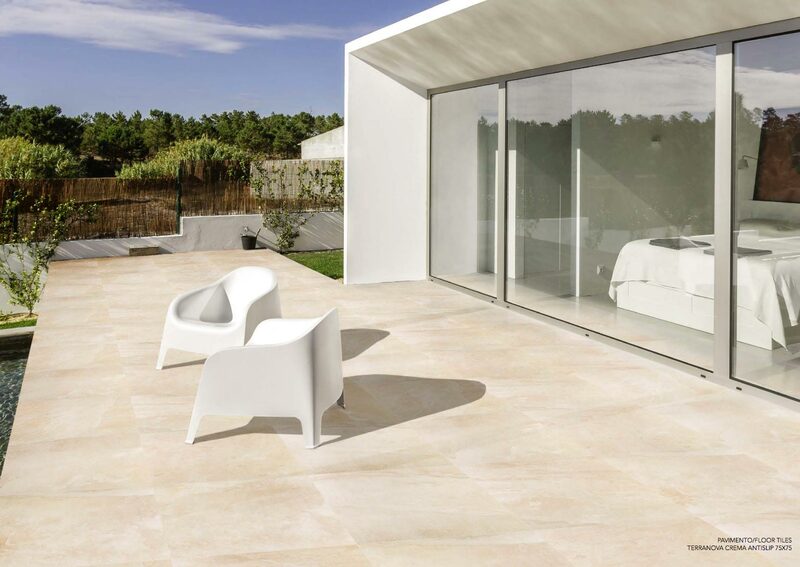 With its lightweight structure and strong use of texture, Terranova – CASAINFINTA’s latest collection – is a good instance of the company’s bid to create new tactile surfaces that simply beg to be touched. The collection reproduces slate’s natural features in elegant style, with jagged surrounding contours. Terranova’s wall tiles come in 18 varying designs and its floor tiles in up to 30. Terranova comes in a choice of different formats in a color spectrum that encompasses both warm and cold colors.